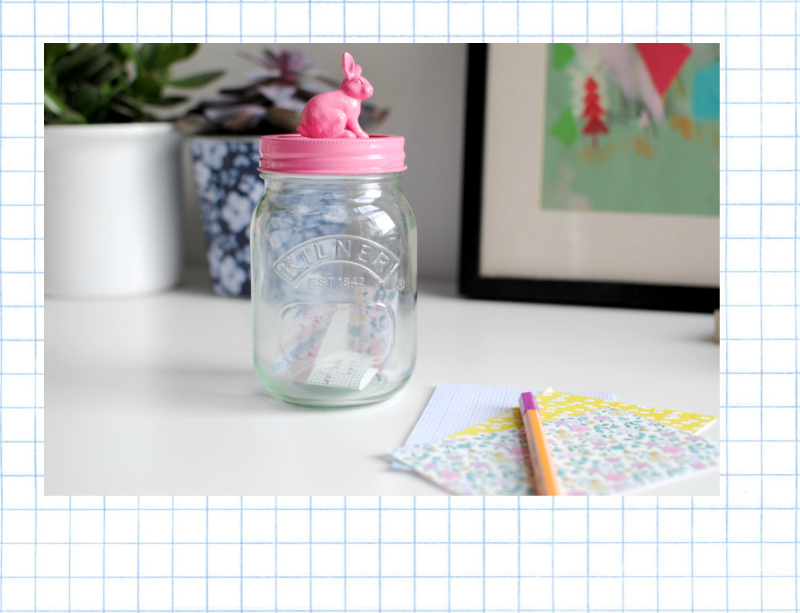 this DIY is a combination of two ideas that I found on pinterest; a bunny jar tutorial from torie jayne and a picture of a glass jar filled with little notes. 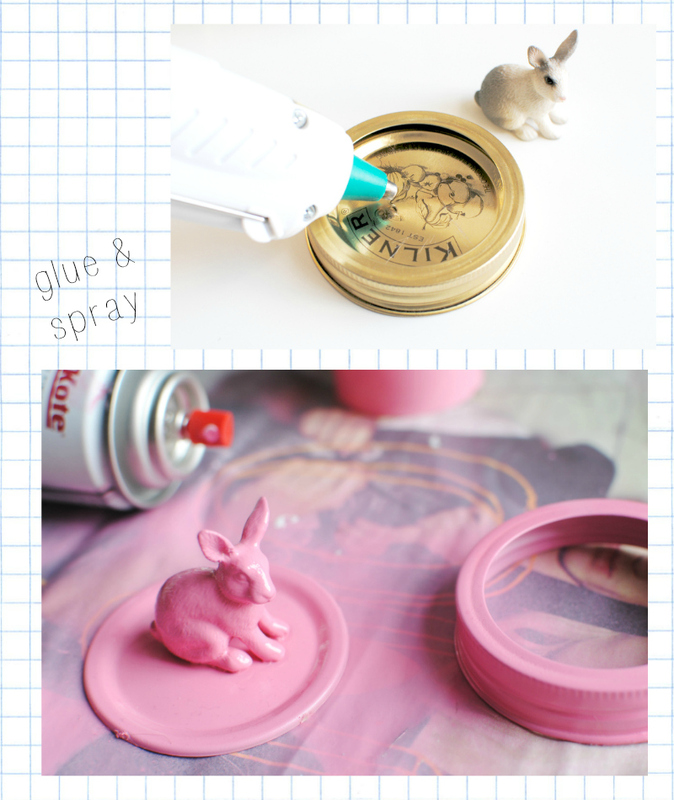 it's amazingly easy to make this DIY, you'll need a glass jar, a small rabbit figurine, glue and spray paint. I picked up my bunny from the toy department in john lewis but amazon or eBay should have small toys like this too. once dry screw the lid back onto the jar and you're finished! collect some pretty sheets of paper and whenever something good happens remember to write it down and pop it in the jar!! if 2014 turns into a year of very bad things I can always just fill my jar with haribo.. everyone's a winner! what do you think.. is this something you may do too? Love this idea, and the jar is just too cute as well!! I'm sure 2014, will be a great year and you won't need the Haribo. Would never have thought of doing something like this but it's such a lovely idea! I think I want to make one for cotton buds and things like that too. 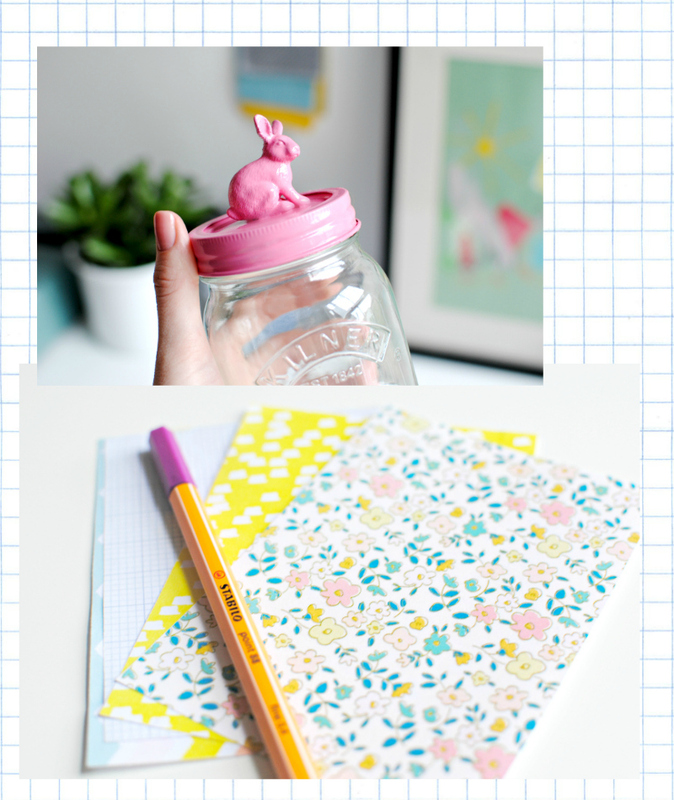 What a cute idea Caroline, I adore the bunny take on the happy thoughts jar! This is a great idea and something to look forward to for the end of the year. I may even open it early if I'm feeling really down and need some cheer...or is that cheating?!! ohhh, that is sooooo very cute. This is such a cute diy project! 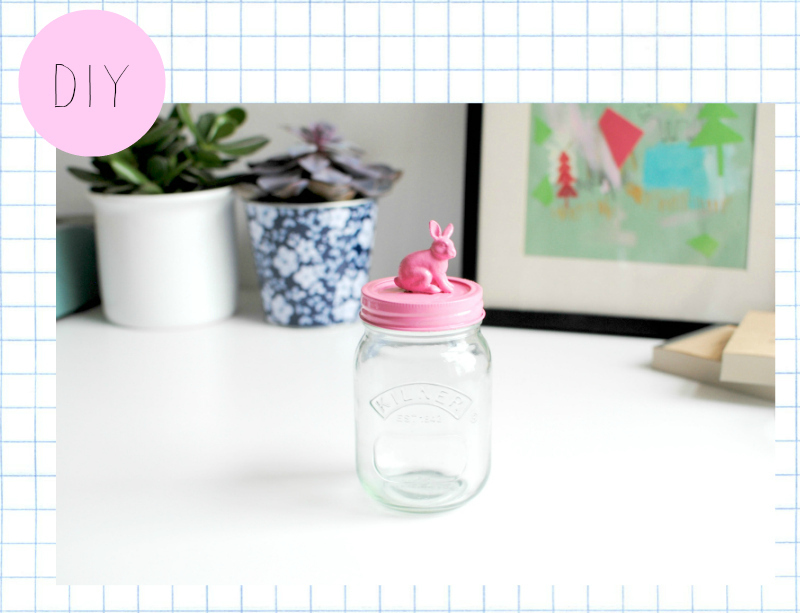 Love that bunny jar!